New for this year there is the option to do the route as a Fun Run! The Sponsored Walk is the largest charity fundraiser of the year for Derwen College. The walk is a 10k circular route with a 6k option, and starts at 11am. The route is relatively flat and takes in the countryside surrounding Gobowen. 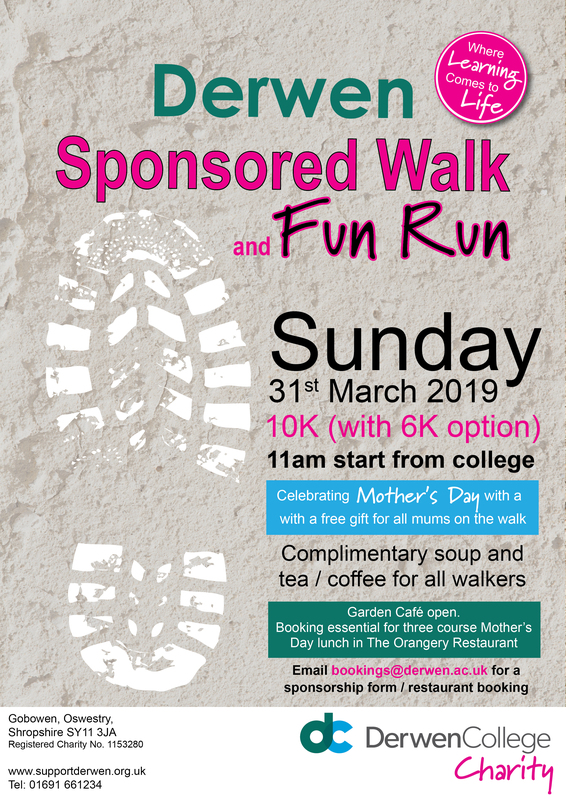 This year the walk falls on Mothers’ Day – Sunday 31st March 2019. 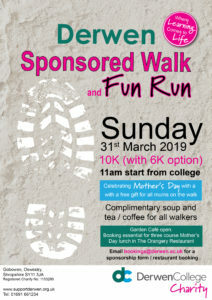 Any mums taking part will get a free gift for completing the walk or fun run. Have breakfast in the Garden Cafe before you go, or a three-course lunch at the Orangery after you have built up an appetite.